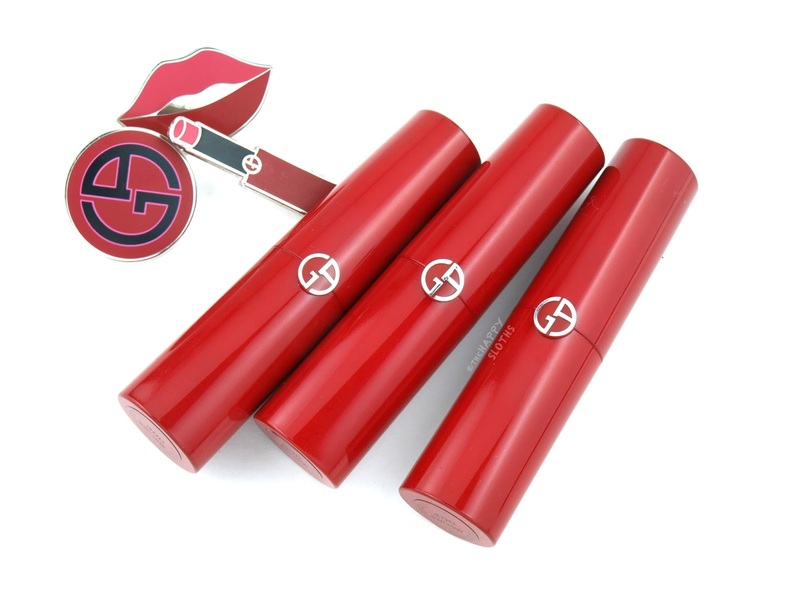 The Armani Ecstasy Shine lipsticks are housed in a lacquered red tube adorned with the iconic Giorgio Armani logo. With a magnetic cap that snaps right in place, the Ecstasy Shine packaging is slightly taller and slimmer compared to that of the Ecstacy Express. The lipstick tip has a flattened design and while it doesn't provide as precise of an application, it's very suitable for the softer Ecstasy Shine formulation. Lastly, the packaging has a luxurious weight and its bold red color truly stands out against the usual black and gold lipstick design. With a super balmy and slick texture, the Armani Ecstasy Shine has an ultra hydrating and lightweight formulation. 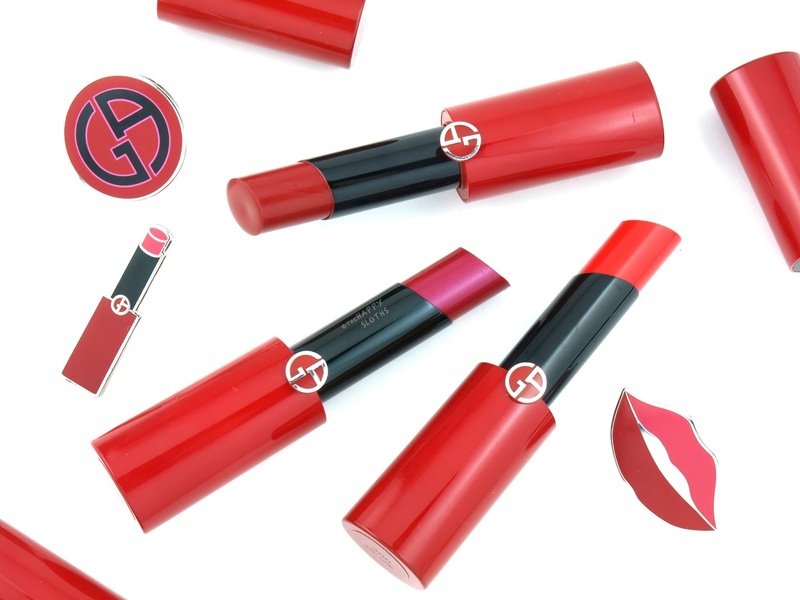 The lipstick glides seamlessly across the lips, providing a juicy, cushioning shine. The formulation has a subtle waxy fragrance, but it's not at all unpleasant. In terms of pigmentation, the shades appear to vary but they are a lot more pigmented than I expected. See the breakdown below to get a better idea of all the three shades I have. As you can imagine, the balmy, shiny finish is pretty prone to transferring so this isn't the kind of lipstick that will last through a meal. However, there was no noticeable bleeding and so the wear is not too bad. 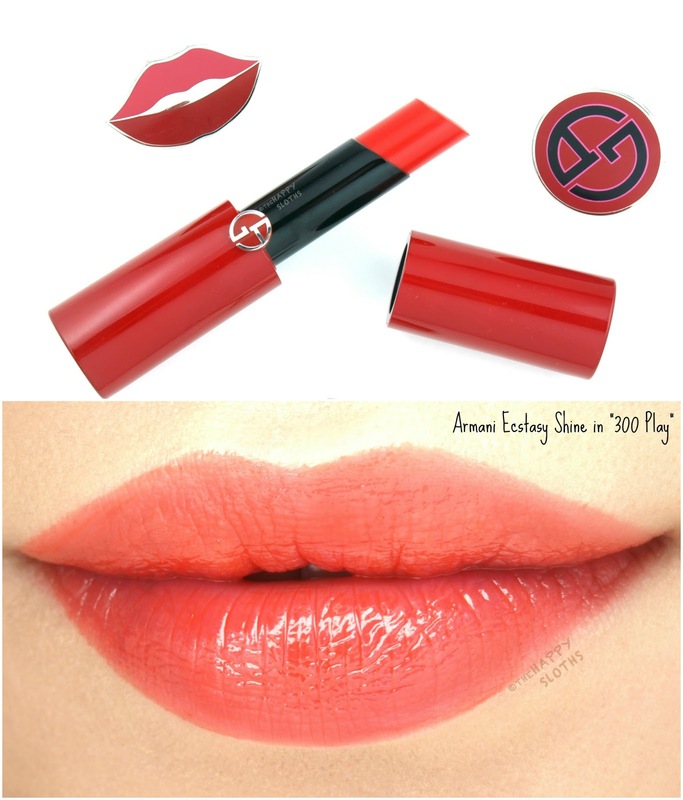 300 Play: A soft fresh orange, this shade is on the sheerer side. 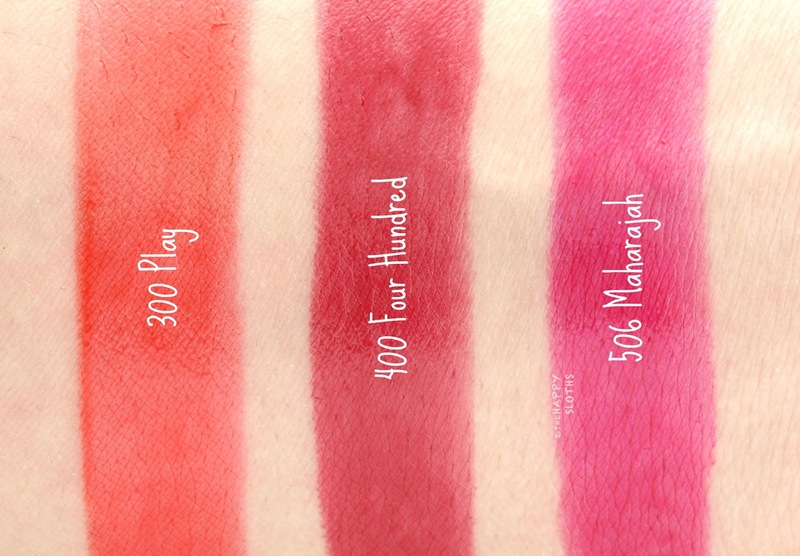 However, the color applies very evenly so the lips are left with a gorgeous translucent shine. 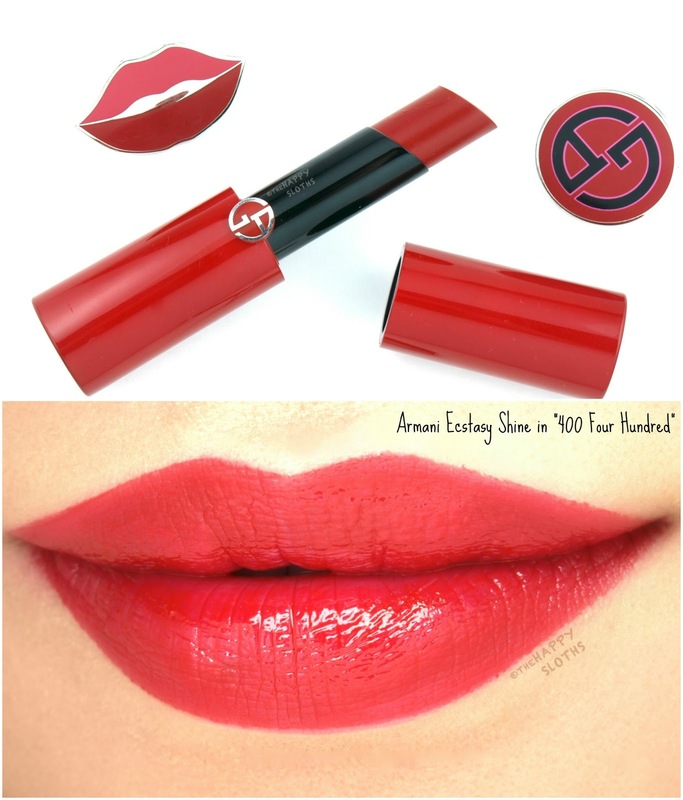 400 Four Hundred: This is a pink-based red with a very intense pigmentation. The color leaves behind a gorgeous pink tint. 506 Maharajah: Appearing as an intense pink with a subtle violet sheen, Maharajah is also very pigmented. The color has just a hint of violet iridescence and it too leaves behind a beautiful tint. Giorgio Armani Beauty | Ecstasy Shine Lipstick in "300 Play"
Giorgio Armani Beauty | Ecstasy Shine Lipstick in "400 Four Hundred"
Giorgio Armani Beauty | Ecstasy Shine Lipstick in "506 Maharajah"
When it comes to lipsticks, I'm pretty old-fashioned so I usually prefer the classic cream formulation. However, these Ecstasy Shine lip colors from Armani is just stunning! The slick, lightweight formulation feels amazing on the lips and I'm pretty impressed with the pigmentation as well. 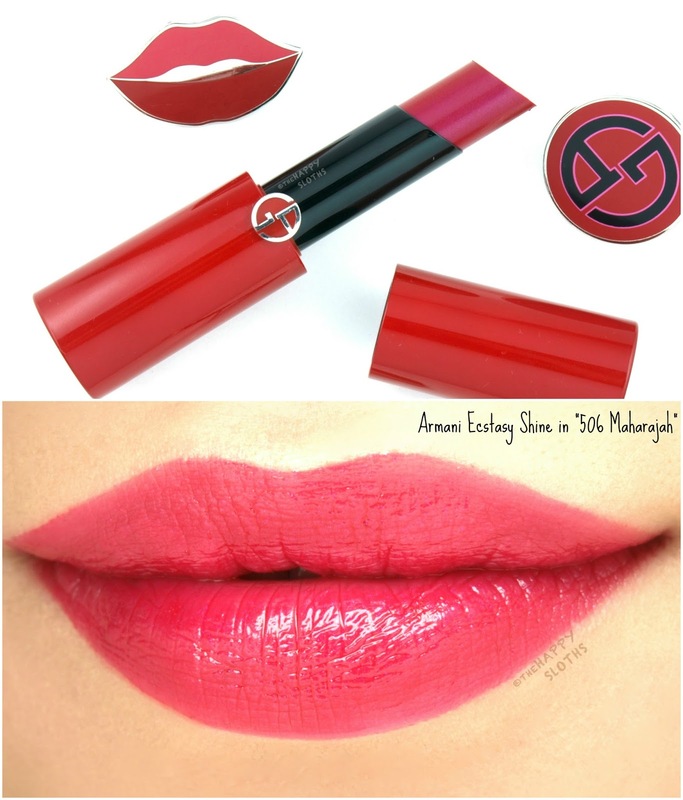 $43 is a lot to spend on a lipstick but the Armani Ecstasy Shine is worth the splurge!